Portsmouth Police Officer Brian Davis and his wife Jennifer Davis were charged on Tuesday for animal cruelty in the starvation death of their former horse. Officer Davis, 34, was assigned to the K-9 Unit, and has been temporarily transferred to an administrative position pending the outcome of the investigation. According to Wavy.com, the horse named Amy was a police mount for 14 years. When she was retired in 2009, Officer Davis and his wife Jennifer, 33, adopted the horse and brought her to their home in Suffolk. Four years later Debra and David Kelly adopted Amy from the Davis family. Debra had been the former stable manager for the Portsmouth Police. Sadly by this time the horse was unrecognizable as the healthy and happy horse she had once been while at the police stables. Amy was humanely euthanized two weeks later; her body could not repair the long term neglect. The Davis’ face two misdemeanor charges of animal cruelty and inadequate care of animals. A sign in the Kellys’ barn reads ” AMY – 1983-2013 – 3/21/13 End of Watch. Rest in peace Amy, and thank you for your service. Friday Hearing Last Stand to Stop Horse Slaughter in N.M.
Maybe he should serve time for 30 days with no food. Even this is not enough punishment for what he did. More sociopaths harming animals – Life in the Electric Chair for both of them – He should lose his job & never be allowed access to animals ever – probably abused the dogs he was in charge of, too. A misdemeanor is all they get for years of cruelty. It is and always will be a mystery to me how people can be so cruel. The animal cruelty laws need to overhauled, but with politicians like Steve King of Iowa in congress, it is unlikely to happen. Very sad. They need monetary fines and some jail time.Unacceptable that their punishment was so light.Cruel and amoral they are. ASPCA is fighting another Ag bill designed to disable states from creating animal protection laws. He needs to be stopped. Take action on the ASPCA site. Animal abuse should be dealt with not as a misdemeanor. It should b4 treated as the crime it is. King is not human. He’s a greedy career politician who needs to be removed from office at all expense. King should be kicked out of office. He is no good. Exactly, and what really angers me is in the 1980s this is how it happened that slaughter and abuse and neglect Joined Forces, we heard a notable politician speak in 1982 on softer penalties and lesser fines for the abusers, no strict laws were required and vilianized rescues, rescuers, and horse lovers who were aghast, injure your animal he said simply slaughter it, dont want it simply slaughter it, and if forget say to feed it simply slaughter it, law enforcement then felt they didnt have to increase laws and penaties, so you can see these people dont appear to be poor, making under 30 grand, nor are they unfamiliar with horses or this particular animals needs. So they are the typical abuser, above the law in their own mind, oblivious to animals suffering, uncaring, and unwilling to help her. These people are what i call the faces of pro slaughter, neglect, and abuse joined together. That fat politician, yes, he was quite large, was himself a year later charged with 20 counts but the horses suddenly “disappeared”, im grateful Amy did Not simply disappear. 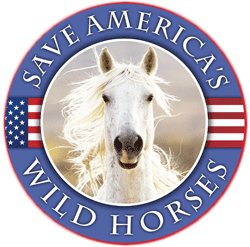 I suggested in the comments of the article, we should rally to get an animal cruelty law for horses in place, so that even if the horses go to slaughter, or die elsewhere they are still charged correctly and more serious charges to make a direct impact, i want to call it Amys Animal Protection Act. I like that idea Cynthia, count me in. Are you kidding me? A misdemeanor charge is all an animal’s cruel suffering and ultimate death is worth? The Davis’ need to be hanged bu the lawmakers in Virginia need to get their heads out of their a$$ and make stricter laws with harsher penalties for this type of behavior. This was not how I wanted to start my day…MAD AS HELL! suppose to lead by example. It seems most countries that were involved in the last 2 world wars developed an ” indifference” to animals as it was a direct result of all the bloodshed man and beast suffered during those times. At the completion of those wars, people were ready to get on with their lives and start living again…however most laws of change at those times were influenced by the indifference that war created, as in our animal cruelity laws. NOW is the time to change them again…the indifference is gone… this is the 21st Century folks, animals are now part of every family that is lucky enough to have them. This poor horse gave the best years of it’s life to “Serve and Protect” what happened to the officers obilgation to “Serve and Protect” as well?? I’m sure some of his “friends” in the “big house” would like to see him there. I hope this officer hangs his head in shame everytime he hears that horses name and may he have restless nights. why take in a animal if your not going to take care of them or abuse them. Let someone take them home that will give them the love and care they deserve. Agreed. Misdemeaner charges my hoof! I’ve read cases were people were changed with serious assault charges for interfering with police dogs and horses for even touching them. What gives? VA…or that’s right, I now understand. Anyone ever been to Richmond? It’s a time warp. I cannot Fathom how anybody who would continue to function as normal while seeing their horse starving to DEATH on a daily basis? ?.I AM OUTRAGED! And once again, an abuser that starves the animal. The “perps” never seem to miss getting their groceries, do they? What kind of people could watch this kind of slow suffering. Evil. Throw the book at them! I truly cannot imagine a woman being a part of this. Perhaps this man is an abuser and she was fearful to stand up to him. Terrible. I hope he is fired. I too was wondering how his wife could be involved in starving this poor horse. The mentality of these people is that of a “Sociopath”. When you have no emotional capacity for suffering and can watch an animal slowly die a horrific death…Your a NUTJOB. Idalupine, there are plenty of WOMEN involved in animal abuse, especially horse abuse. The word WOMEN doesn’t necessarily mean kind and compassionate. Some women can be as evil and vile as some men can be. Some Kill buyers are women, majority of puppy mill owners are women. WOMEN are not innocent just by being women. Some women, yes, but generally men are more aggressive and violent statistically. I guess what I wonder about is how more than one person could stand for such treatment, without putting a stop to it. Both are weak individuals. Men and women are equal under the law, but not the same IMO. I think we should be careful where we go on comments on the female spouse. If the Davis’ could not take care of Amy they should of found a home earlier for her before she was beyond repair. It was far too late when Kellys’ took ownership of the starved and sick horse. The Davis’ should be held accountable and just a misdemeanor charge will not do. This story hits my heart hard. 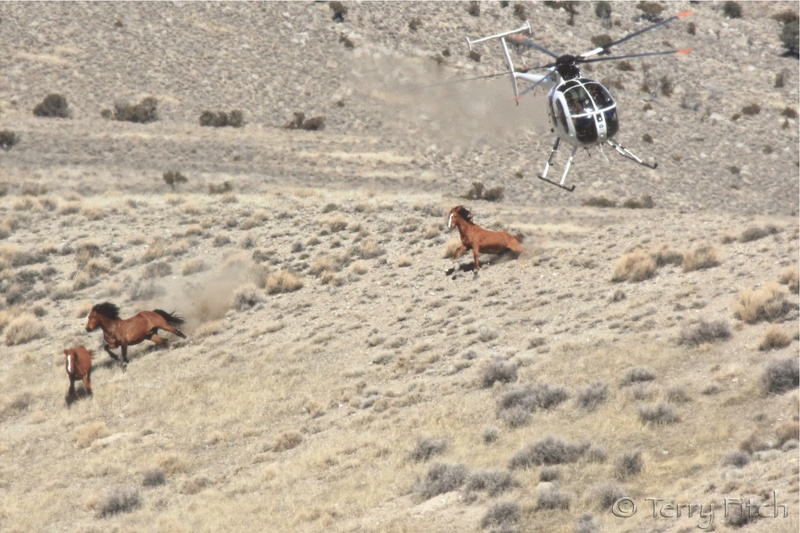 It was a police horse named Pharaoh who led me, indirectly, to this campaign to save America’s wild horses. Pharaoh introduced me to all his fellow “police officer equines” at the barn, only two miles from my house. I visited them weekly (sometimes daily) for several years, until the mounted patrol stables moved to the other side of town. If it weren’t for that meant-to-be meet-up with Pharaoh in his trailer, I wouldn’t have been exposed to the dark underground of horse slaughter, then to the light-filled world of horse rescue, then to the intersecting anti-horse-slaughter and pro-wild-horse-freedom activist communities. Dear Pharaoh and friends, bless you all. Sweet, innocent Amy, RIP. We gotta stop flailing our arms about the “misdemeanor” charges. They are misdemeanors because of state law and that is the case in many states. Reminds me of the Zimmerman case; he was acquitted because of FLORIDA LAW. period. end of argument. Remember, the FBI and Feds came in on the Michael Vick horror….BUT ONLY BECAUSE OF BETTING!!!!!! and some crossing state lines, wire transfer thing….not because of the cruelty to the dogs. The Commonwealth (forget Sussex County…lame weenies) had to be bludgeoned into working on this case. Angry about the death of this noble servant? Live in a state with WEAK animal cruelty laws? CHANGE THEM!!!!!! Why are we suppose to watch our comments?? It’s called Freedom of Speech? There are no laws that prohibit our comments and speech?.. What was posted in the Huffington Post yesterday is bull that is blown out of proportion and the bill that was passed is for more violence at the Legislature Buildings, carrying a gun etc..
Let’s be real clear on that. Reread my post about “be careful about comments ON THE FEMALE SPOUSE”; she may be an abuse victim herself. To the rest of your post….RCA dog look?????? We can complain all day here to each other, but until we ALL decide to do something proactive it’s not going to change. We all need to call and call and call, email, fax, and snail mail our Congressmembers and demand stricter laws and sentencing! Um excuse me, but don’t put the rest of us in the same category as these sadists. You don’t know how proactive any of us are outside of this board. and how it can manifest into a large organization of support to bring about change. 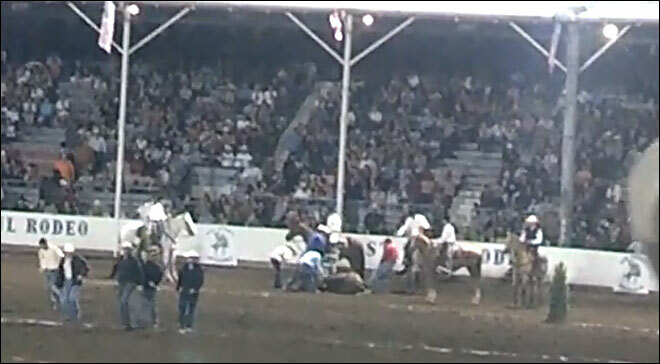 I think were all pretty upset over these people starving their horse…..It’s hard to comprehend and understand? Us normal people just don’t get it?……….It takes months of starvation to kill a horse a slow death. So there was no Excuse to allow an animal your suppose to love and care for to end this way?? I don’t care man or woman-each is just as capable as the other to abuse-this case is just discusting-this was his partner (I assume) how can you walk side by side-day in and day out and in the end have no compassion for this living thing that stood by you? We have talked about this so many times at the shelter-we are beginning to think its in the water, maybe the air or maybe the GMO foods? WHAT ever happened to an eye for an eye? All too many state laws are weak and inadequate for addressing animal abuse. There is no escaping the fury and frustration related to that. The laws definitely need to be strengthened, but in the meantime public outcry and pressure can be an effective tool. Officer Davis and stable manager/wife Jennifer should be pariahs in their community and in the nation. Everyone should know who they are and be able to recognize them. When they go to a restaurant or purchase groceries, they should endure the contemptuous stares of their neighbors. They should be shunned and treated like outcasts for their unacceptable and aberrant behavior. I emailed the Portsmouth, Virginia police department to let them know how I feel about their former employee, Jennifer Davis. I also objected to having Brian Davis continue on the force. I pointed out that this tarnishes their reputation and elicits public suspicion and contempt. One lonely critical voice has little impact. Hundreds of critical voices represent a P.R. nightmare and a real migraine for the chief. Here’s the link: http://portsmouthpd.org/?page_id=84. I gave my email address but left the home address and phone fields blank, and it still went through. It’s better if they don’t know if the criticism is coming from the local population. There’s something called due process, which concluded today and found the defendants not guilty of the charges. My mother has a cat who refuses to eat and has been steadily loosing weight for more than a year. She has taken it to the vet without positive results. There’s no doubt she loves the cat, and certainly is not abusing it by withholding food or water. The animal simply won’t eat, is it not possible the same has occurred in this situation?